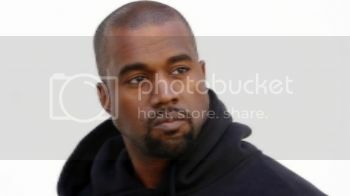 Some people are thinking that Kanye West is crazy and some think that he is drumming up publicity for his next project. You can’t tell personality disorders from an astrology chart, but you can see personalities difficulties that could mean disorders. Kanye is a Gemini Sun/Jupiter — that fortunate combination that adds luck all through your life. His Mercury is in Taurus, Moon in Pisces and Venus/Mars conjunct in Taurus. This last aspect can mean the sexuality can go many various ways and the mother thing. And it lends that passive/aggressive quality — not great — definitely something to consider when you partner with someone. Oh, and Cancer rising. Still I wouldn’t say his chart confirms his diagnosis. The Moon as a focal planet does mean things bother him — a lot — even too much. Currently Kanye has predictive Mercury just conjuncting his predictive Saturn. And ironically his predictive Sun is sextile his natal Mercury. Whatever is going on with Kanye, we’re going to see more of it and likely the negative will win out. My advice to him is lay low — work on your music. But Kanye won’t take my suggestion or anyone else’s. So you’ll be seeing more of his stuff. And conclusions will come with that. I’m voting for crazy.